According to the National Fire Protection Association, a fire department responds to a fire somewhere in the United States every 20 seconds. What is even more shocking is that one person dies every 153 minutes from fire, and a fire injury occurs every 30 minutes. 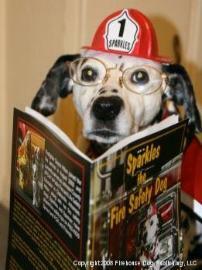 Sparkles the Fire Safety Dog and I do what we can to help keep everyone fire safe. 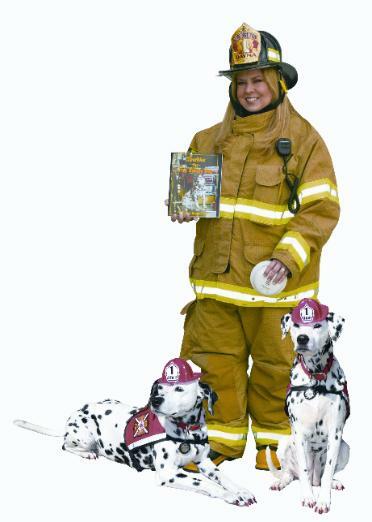 Through our books, audio books, coloring books, and other fire safety materials, we have made it our mission to do what we can to reverse the above statistics. And now, thanks to Wendy Nan Rees and her canine friend, Cappy, Sparkles and I have a forum to share timely fire safety messages through their newsletters. Early in my firefighting career, a woman commented on my fire department shirt while we were standing in line at a local retailer. We struck up a conversation through which I learned she had recently lost her home to fire. As she shared her tragic story with me, I realized how important it is that this lady's story be told to help prevent another home fire. The victim mentioned that her home quickly filled with smoke and she went outside, which was the right thing to do. Outside the home, she realized that she forgot something, and unfortunately, re-entered the inferno. My heart sank as she shared that information with me. As a firefighter, I have heard many stories from other firefighters about people who have gone back inside their homes for one reason or another, only to become disoriented and overcome with smoke. My firefighter friends have found people lying on the floor who were overcome with smoke inhalation. Sadly, these victims are often just a few feet away from the door from which they tried to escape. Why is time so important to saving lives in a fire? And why is it important to get out of a burning as quickly as possible? The answer is simple. A home can become fully engulfed in flames in as little as three (3) minutes. Yes, that is correct, three (3) minutes. Therefore, time is of the essence. One of the most important tools to combat fire is a working smoke alarm. It can help save your life and the lives of your loved ones. According to the National Fire Protection Association, almost two-thirds of home fire deaths resulted occurred in homes with no smoke alarms or no working smoke alarms. That is why it is important to test your smoke alarm batteries one a month. No smoke alarms were present in 40% of the home fire deaths and in 23% of the home fire deaths, smoke alarms were present but did not sound. Those are some pretty startling statistics, wouldn't you agree? Install smoke alarms both inside and outside sleeping areas. Install smoke alarms on the ceiling or above eye level on the walls and be sure to follow the manufacturer's instructions. Test the smoke alarm once a month. Change the smoke alarm batteries twice a year. Occasionally vacuum smoke alarm to keep free of dust. Replace smoke alarms after 8-10 years. Remember, a smoke alarm is a valuable life saving tool! 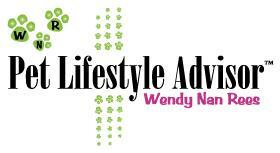 In addition, it is important to make and to practice a home escape plan with your family. Practice your plan at least two times a year. Lastly, if you have not done so already, make your home escape plan and make sure that your smoke alarms are always working. Sparkles and I want you to stay safe! We thank you for spending time with us learning about fire safety. So long for now, and stay safe!